eLumine Bundle: Our best LearnDash plugins and theme in one place. Enhance your eLearning website with our bundle of fully compatible plugins. Prompt support and a uniform plugin interface ensure a seamless experience. Online eLearning websites are a tricky affair. You spend endless hours to figure out which plugin you want. Even if you find the perfect plugin, you have to face compatibility issues and bugs due to different developers. There is also a steep learning curve that comes with all the unfamiliar plugins. And support actually supports your troubles because there are multiple vendors involved. We all know the famous blame game, right? Rest assured, we have a bundle of plugins for you! Bundles make your life easy. They come from a single team of formidable developers. We have spent our time testing and developing an ideal set of compatible plugins that will be essential for your website. Our set of plugins have been featured and listed on major WordPress sites. The navigation is simple and common for the whole set. When you buy individual plugins from different vendors, you end up paying more. In a bundle, the discount is more and it is a significant difference. If there is a $99 plugin, with a 20% discount, it does not make much difference. But if you save $200 on a $1000 bundle of plugins, you save more. With the WISDM eLumine theme, you can add that zing to your website. Tailored layouts, quiz modules, and seamless social integration. eLumine is a bundle in its own! With the WISDM Instructor Role plugin you can create multiple instructors for different courses and assign commission rates as well. Assign Group Leaders and enable them to bulk enrol members into courses using the WISDM Group Registration plugin. Clone course content with a single click using our Content Cloner plugin. 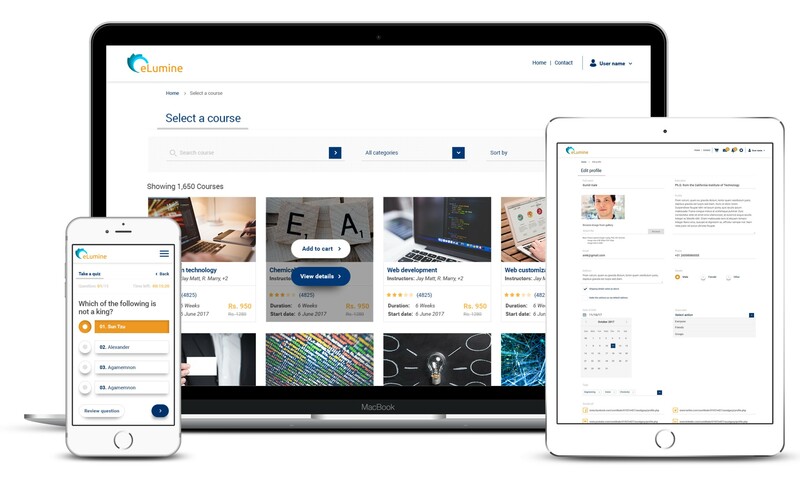 Get feedback and improve your courses, increase your audience with WISDM ratings and course reviews. It’s time to step up the game. The team behind the eLumine bundle, dedicated to offer the best to our customers. We constantly seek inspiration from technology and feedback. Do I have to install all plugins in the bundle individually or can I install all plugins together in one click ? All the plugins that are part of this package have to be installed individually. In case you face any problem while installing any plugin, you can refer to the installation and user guide of that particular plugin. If I purchase a lifetime license, will I get a lifetime license of all the plugins that are a part of that package ? Yes, all the plugins which are a part of the package will be available to you with a lifetime license and lifetime premium support. Are all the plugins which are a part of this bundle compatible with LearnDash and other mandatory plugins like WooCommerce? Yes, they are compatible with plugins like LearnDash and WooCommerce. What is your support and refund policy ? Please refer our ‘Support Policy’ for details. How do I benefit with this bundle ? You get a valuable full fledged solution that can help you build an elearning site with all its requirements in a very simple manner. You also get plugins which are worth much more at a highly discounted price. 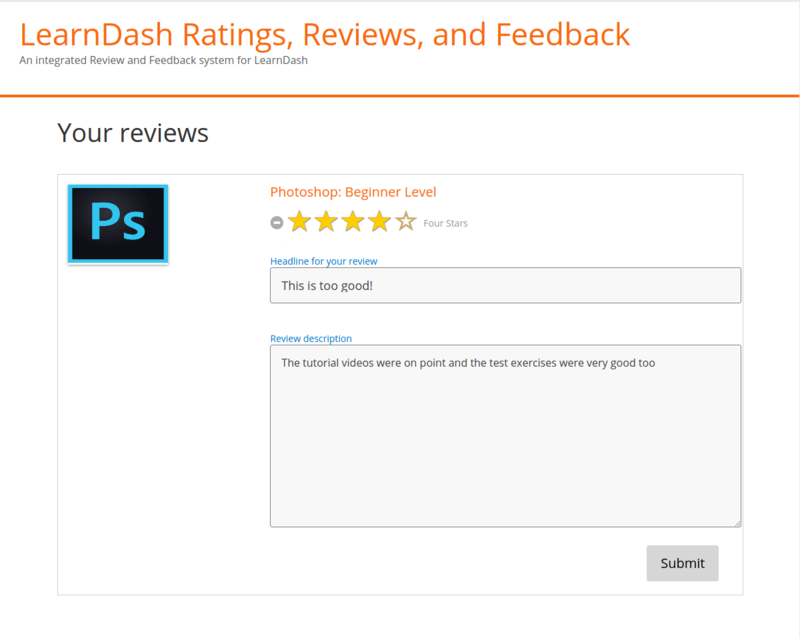 An amazing support and a perfect theme for LearnDash I chose eLumine since it's beautiful, it works great with LearnDash and I wanted to save time. There is always technical stuff when starting up a new site and to be able to get good support is necessary. With eLumine – the support isn't good – it's outstanding! The best support team I have ever worked with. Ryan Warren is the one who is helping me, and he does that, always with a quick response, a lot of patience and great solutions. I'm more than satisfied. Thank You Ryan! Excellent Job! and the support is superb really appreciated….Thanks eLumine I'm impressed how the theme really look and function, over all its premium and well designed, Also 2 days after I purchased the theme, Their support team especially Mr. Harsh really gave his time to help me setup my website according to my requirements. Indeed they are really helpful , Professional and most of all kind team willing to help you at their best. Really really appreciated your support….Much Thanks..